It was a defense versus offense battle in the Sweet 16 and the offense came out on top… and looked like a solid defense, too. Rui Hachimura led the way for Gonzaga with 17 points while Brandon Clarke added 15 points, 12 rebounds and five blocks. 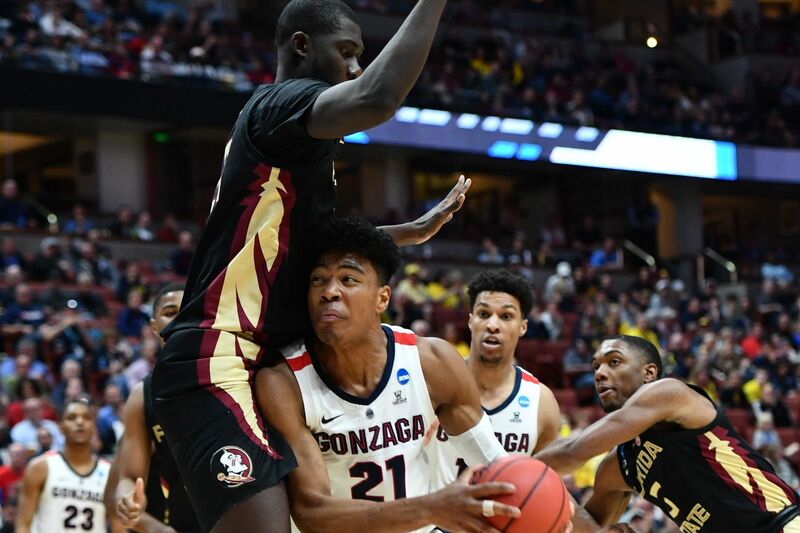 Florida State’s length frustrated the Zags, who scored well below their season average and managed just 0.986 points per possession. But Gonzaga’s defense was even more stifling than the Seminoles’. Florida State committed 14 turnovers on the night, nine of which came in the first half. The Seminoles shot 39.3 percent from the field and a measly 15 percent from three. Gonzaga, on the other hand, managed considerably better at 36.8 percent from long range. 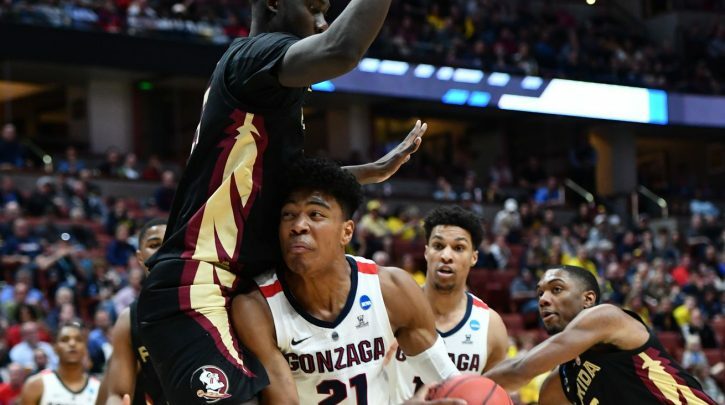 The Seminoles’ athleticism and length frustrated Gonzaga, but it didn’t deter the Zags from doing what they always do. Despite looking undersized against the Seminoles, Gonzaga pounded the ball inside. The Zags actually relied on the three ball less in this game than they did over the course of the season. Gonzaga caught a lucky break early on as 7-foot-4 center Christ Koumadje (8 points) picked up two quick fouls and went to the bench. The Seminoles have relied on their bench all season, but injuries and tragedy have shortened the rotation. Without Koumadje’s rim protection for most of the first half, the Zags were able to get into the paint. Josh Perkins alone scored six of his 10 in the first in the lane. Coming out of halftime, Koumadje quickly picked up two more fouls. But, unlike in the first half, Florida State didn’t wilt. The Seminoles pulled even closer. Gonzaga led by as many as 14 points and 11 at the break. 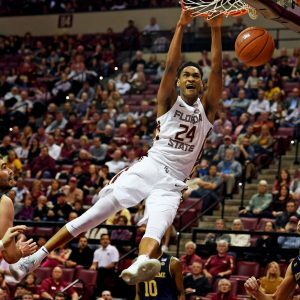 Trent Forrest (20 points) put Florida State on his back in the second half, when he scored 15 of his points, and the Seminoles repeatedly cut the Zags lead to three possessions. But it seemed they could never pull closer than seven points. Then, Zach Norvell Jr. (14 points) picked up his fourth foul with 9:08 to play and the Zags began to look rattled. With 4:11 to play, the Seminoles really broke through as Forrest hit a free throw to pull his team within four. Gonzaga, on the other hand, was missing the front end of one-and-ones. The Seminoles put together an 11-3 run to make it a game. Just as Florida State looked ready to take hold of the momentum, the Seminoles went ice cold. The Zags answered Florida State’s run with a 12-2 run of their own to close the game. Gonzaga showed composure and poise down the stretch like the veteran team it is. The Zags advance to the Elite Eight for the fourth time in program history and third time this decade, and will face the winner of No. 3 Texas Tech vs. No. 2 Michigan.